The FOUR PARX GG08 was developed in 2010/2011 as a new concept for a logistics and industrial park. 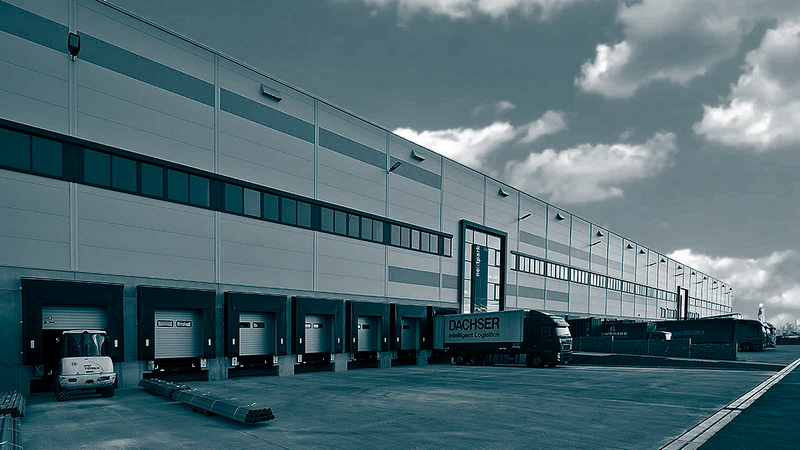 This logistics property is especially marked by its sustainable and cost-efficient building method. The park is located amid the logistics triangle of Frankfurt-Darmstadt-Wiesbaden/Mainz in a newly planned industrial park. The buildings were certified gold as per the DGNB (German Sustainable Building Council). We successfully developed the more than 50,000 sqm of usable space together with the investor Taurus Investment Holding GmbH. The particular challenge with this project lied within the interior work for our lessee “METRO”, for whom we developed the warehouses into a fresh fish center. You can view a video report and a virtual tour of the property below. The 56,000 sqm industrial park was conceptualized with two separate construction segments of 24,000 sqm floor space each, as well as with an optionally expandable space of 8,000 sqm. Due to the highly flexible architecture, leasing can start from units of 1,500 sqm. Construction began in 04/2010 and was completed in 11/2011.